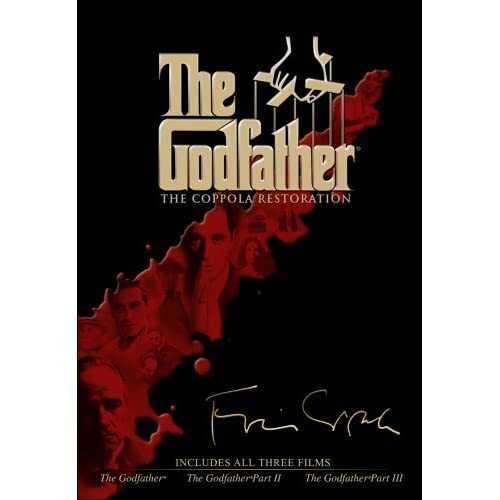 eFilmCritic - Interview: Robert A. Harris On Restoring "The Godfather"
The renowned film restorer talks about his latest project--repairing the badly damaged negative of Francis Ford Coppola's 1972 masterpiece and bringing it back to its former glory. You would think that if a film is an Academy Award-winning blockbuster that is generally regarded around the world by cineastes and regular people alike as one of the greatest movies ever made, the original negative must be sitting somewhere in pristine condition so that future generations will be able to view in the exact same condition in which it played for audiences when it was first released. Unfortunately, as has been the case with too many well-known films over the years, that is not always the case and even some all-time classics have succumbed to the cruel ravages of time and one of them, shockingly enough, was Francis Ford Coppola�s 1972 masterpiece �The Godfather.� Despite being one of the most popular films ever made--in fact, partly because of the fact that it is one of the most popular movies ever made--one of the dirty little secrets in Hollywood in the last few years is that its original negative has been in a state of major disrepair and without a serious and expensive restoration effort, it was in serious danger of disappearing forever. Below, Harris talks about film preservation and his accomplishments on �The Godfather� and while some of the conversation may lean somewhat heavily towards the technical side of things, even a person with no working knowledge of film restoration will still be able to understand the passion that Harris brings to his work and appreciate what he has done. How did you get into the world of film restoration? My dad in World War II worked with microfilm and occasionally had some very interesting documents coming in from the federal government by armored car in New York. I grew up with photography because he was an importer of cameras and lenses and I had my own darkroom when I was nine years old, doing black-and-white and color--I grew up with emulsions. My dad had a lot of friends in the film industry and I would always be running 16mm prints and then 35. I just grew up with a love and respect of film and I also grew up that era of the Fifties and Sixties when there were road shows. I guess that one of my concerns is that as people join us in the world, shouldn�t kids be able to see �The Godfather� or �It�s a Mad, Mad, Mad, Mad World� or �Ben-Hur� in the way that they looked when they were originally presented? I feel that they should and that it is important that these films be preserved properly and screened properly so that everyone can enjoy them. We have now gotten into a situation with film stock where the original negatives, if properly kept, are good for 500 years but that is not the case with films that were made up until the 1970s. There is a huge problem out there and one by one, we try and tackle these things. Can we do them all? No, but you can do what you can. At the risk of sounding na�ve, how could a film along the lines of �The Godfather� possibly fall into such disarray? For one thing, it is one of the most popular movies ever made and for another, I thought that Paramount had done some kind of restoration to it a decade ago to commemorate its 25th anniversary. Here�s the story. Basically, at least until the 1980s, the more popular a film, the worse condition the original negative is going to be in. However, there were a certain number of things that came together all at the same time that created the problems for �The Godfather.� Do you know what the dye transfer process was? Sort of--it was the process that Technicolor used until the mid-1970s. �The Godfather Part II� was the last film done in that process and when you used that process, one of the things you would do was create what we would call printing matrices. You would make those matrices and make your 300 prints off of that and your original negative was then untouched. In order to do that, the original negatives were cut and conformed in a process called Auto-Select, in which the original negative would go back and forth in a printer to encode dissolves and fades and things like that. From that same negative, you could create domestic and foreign versions, short and long versions, whatever you needed. Right after �The Godfather Part II� came out, they realized that they needed more prints of �Part I.� It was first sent to a laboratory that would print in Auto-Select, which meant that the original negative was going back and forth in a printer, and then after that, it was sent to another lab and cut up into what were called A and B rolls. The individual what cut it into A and B rolls probably should have been working on an assembly line making plastic toys because anything they could have done wrong to the negative was done wrong. Basically, they cut it up at the dissolves and put it on separate rolls and without any concept of how long the dissolves or fades were supposed to be, they just made them the way that they wanted them to be. They actually added a dissolve, free of charge, that was never in the film to begin with. In creating the A and B rolls, you use a lot of leader and normally, you use clean and processed black leader. They used scraps off of the floor--pieces of optical soundtracks, pieces of prints, pieces of inter-positives! The film, as it was shot by Mr. Willis, was made to be printed in a certain way because it was a very dark film. Our duping technology, the actual film stocks through which you could create a good-looking and viable dupe--did not come into play until the mid-1980s, so they kept going back to the negative and it was printed to death. By the time we got to it, there was already 20 minutes of original negative missing,. Every splice had been backed up with Mylar tape. There were pieces of image torn out and pieces of sprocket holes torn out. The negative spent about a month-and-a-half at a Kodak facility called Pro-Tek in Burbank where they very meticulously and carefully--almost like a clean room for surgery--fixed the sprocket holes and tape and tried to create a situation where we could at least run it through a very gentle scanning mechanism. We realized that the negative should never go through a printer again and it should probably never go through another scanner that had registration pins that would be going through the sprockets. We did it on a sprocketless scanner and fortunately, most everything worked and we were able to harvest an image. How much at risk was the negative when you were working on it? You take as much care as you can, but you are still putting it on a piece of equipment, albeit one moving at about 4 frames a second, and if something tears, you hit a button and you stop it. Chris Gillespie, he gentleman that was heading up scanning at MPI, which is the Warners digital facility, and I would stand there in white coats and watch the original negative go through the scanner and we would fidget and sweat and wait for anything to go wrong. Nothing tore because Pro-Tek had done a beautiful job. For the parts of the film that were too far gone to be repaired, did you have to go on a search for additional elements elsewhere? Paramount has a wonderful vault system and they had saved all the trims, outs and B negatives and they had been kept cool for the last 35 years. We would go into sub-dupes that were made at the same time as the release of the film and we were able to extract certain shots from that. We were able to able to harvest information from black-and-white separation masters. We also went into trims--pieces of film that were never in the film in the first place. Early on, Mr. Coppola had given us approval, in cases where a shot was damaged or destroyed and there was an alternate for which you could not in any way see that there was any difference except for physically looking at the grain structure under a microscope, we could go back and use an alternate. I�ll give you an example. In the hospital sequence, there were a number of shots that were heavily damaged, One was the scene of Mr. Pacino where they are moving the bed and you are looking up a stairway slightly and he backs into the frame from the right when he is pulling the bed while the nurses are pushing it. The shot actually starts with a number of frames of just the hallway before he goes into the frame. The beginning of that shot was heavily damaged and we called Pro-Tek, where we were storing the material, and through working with the editor�s script and the daily camera and continuity reports that we had prepared, we were able to determine what can that shot was in. We pulled the head trim from that shot, brought it back to Warners, scanned it in 4K and we were able to color-correct it. It starts with a slate and after the slate got out of the way, we had about three or four feet of that hallway and we were able to harvest that image and digitally reconnect it with the beginning of the shot that had been heavily damaged. The same thing with one of the shots looking down on Mr. Brando lying in bed and breathing very gently with his chest rising and falling. We had a problem with one of those shots and we went back to the trims of that take. We scanned the entire take and found a portion of the take where the rise and fall of the chest in that piece of film and the one in the original were in perfect synch and we went to a different part of that take. Those are the kinds of things that you do when dealing with tears and dirt. Every time you have Mylar tape holding the shots together, you lose focus and you have to maneuver the grain structure in order to maneuver the sharpness in the frame or even several frames. The way you restore a film like this, if you are going to do it properly, is rather like restoring a still photograph, only you are restoring 254,000 of them and each one has to perfectly fit in against the next. In restoring �The Godfather,� you had people like Francis Coppola and Gordon Willis alive and available to help, unlike some of the other restorations you have done where the key personnel are no longer living. In regards to what you do as a restorer, is it more helpful to have those central creative people still around to offer advice and suggestions? Coppola is someone who is very brilliant and he gets it. You have a conversation or an e-mail with him in which you tell him what the problem is and he understands. I much prefer working with living filmmakers. Gordon Willis could not have been more helpful in explaining how the film was supposed to look and how he got certain looks. He wasn�t able to come to L.A. and so Allan Daviau sat in for him. It was a situation where we could get Gordon on the phone and say �Hey, we are seeing some slate-blue facial highlights here� and he would tell us that there were no slate-blue facial highlights and that it was the reference print that was wrong. After we did all our corrections, Gordon looked at a video and made final tweaks and corrections in Parts I and II It is their film and you are trying to reproduce it the way that they want it. One of the problems in not having a cinematographer or director around is that if you are looking at films created in the Fifties, Sixties or Seventies that weren�t done in Technicolor, you�ll be sitting there with a faded negative and no reference print--where do you take it? Over the years, the technologies involved both in the restoration process and how the films are finally seen after their restoration--though �The Godfather� is getting a small theatrical re-release, most people will wind up seeing it on DVD or Blu-Ray. Have these advances changed your approach to restoration in any way? No, because we don�t do them for video--we do them for film. �The Godfather� went though the entire process in 4K, which is virtually unheard of, and that allowed us to harvest everything from the negative and the dupes and reproduce it and take it back to film. Video really has nothing to do with it. We do it for film and the area where video becomes a beneficiary is that we go right from the 4K data files down to HD. The video can look better but at no time are we thinking of video. Considering the amount of time, money and effort that obviously goes into a restoration project of this magnitude, is it getting more and more difficult to get studios to help pay to fix up the films that have served them for so long? It is in some cases and it isn�t in others. The studios--every one of them--finally all have restoration and preservations programs that are preserving films daily, It is the special venue films that become a problem and it is the films that are so heavily damaged and faded that you are talking about a million dollar-plus budget that are a problem. If the film happens to be an Academy Award-winning Best Picture, you are much more likely to have studio executive willing to write that check but if not, then we have to go after public funding, which is what we are doing for a film right now that is in desperate need. If you were given the proper amount of time and money, what are the needy films out there that you would most like to work on in order to bring them back to their former luster?